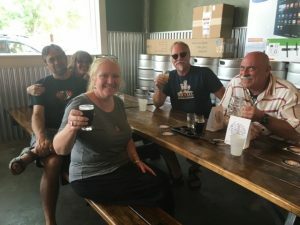 Last week I introduced you to my fellow Colorado Beer Geeks who have visited every brewery in Colorado, Kevin (“The Other Guy”) Harris and The Colorado Beer Barons. 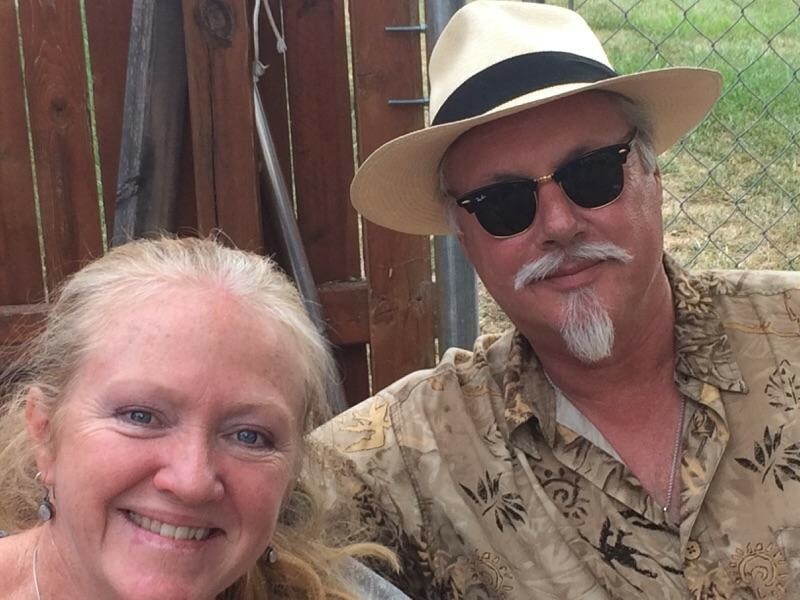 Today I am happy to tell you about The Godfather of all Colorado Beer Geeks, Patrick Malone. 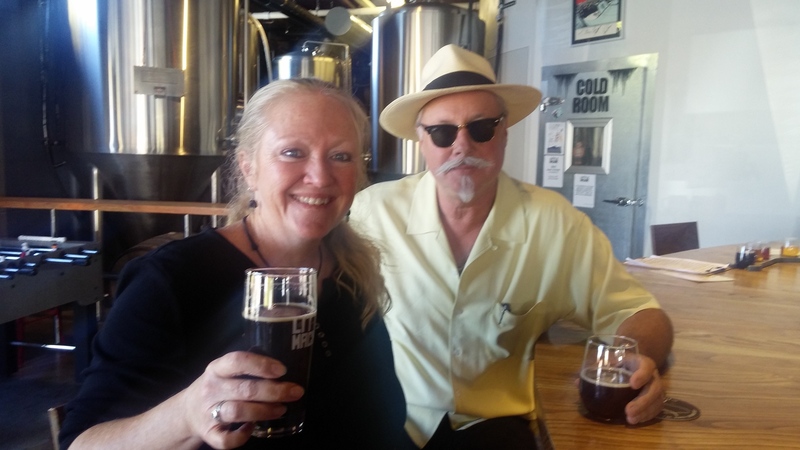 I refer to him as The Godfather since he gained the status of visiting every Colorado brewery when there were only TWO! Starting with attending the opening weekend of Wynkoop and working his way back to Boulder Beer he has kept up ever since! 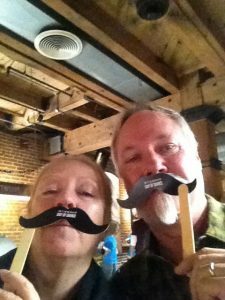 I had the great pleasure in meeting Patrick and his lovely wife, Ruth, at the closing of Caution: East when it made way for Brewability Lab. Since then, I’ve enjoyed every time that we have met and we have struck up a good friendship. I’m looking forward to enjoying many more beers with Patrick & Ruth. CBG: Who is Patrick Malone? I’m from Arvada. Joined the Air Force and was stationed in West Germany, right on the border with Luxemburg and Belgium, so I was exposed to a whole different beer universe from what I had known. Met my wife Ruth in Germany and we relocated back to Arvada. We had a definite let down with the available beer (this was 1985). CBG: What was the first Colorado brewery that you remember visiting? The first Colorado brewery we visited was the Wynkoop, went the first couple days that it was open. Literally, we went a couple days in a row. 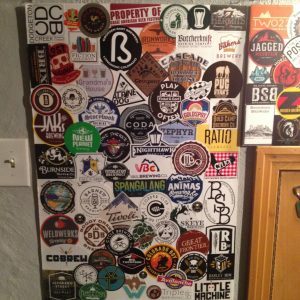 CBG: How do you keep up with the status of having visited every Colorado brewery? 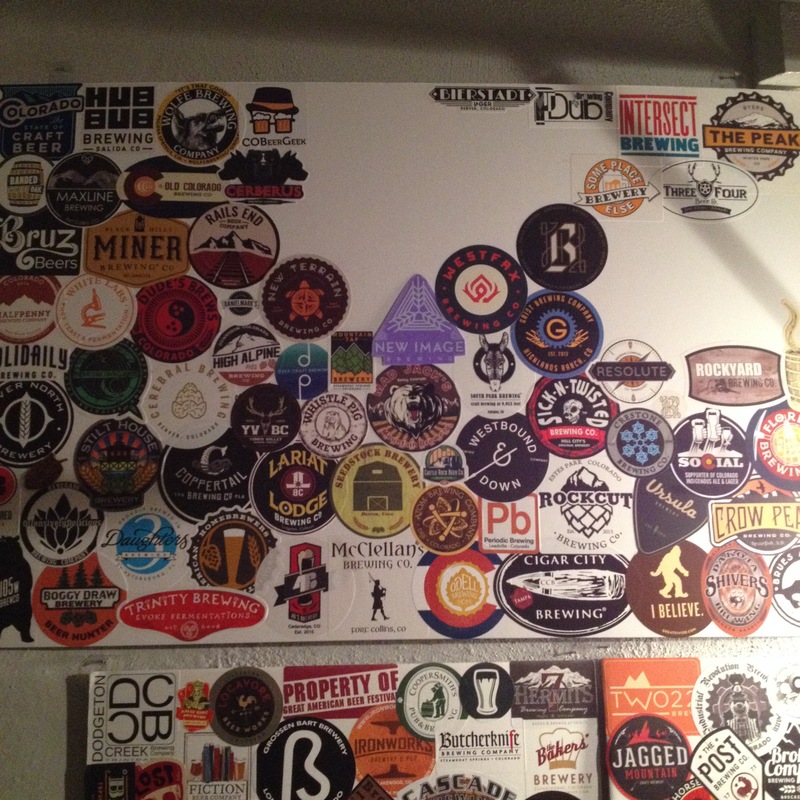 I cover the state of Colorado for business, so I’ve had the advantage of incorporating my travels with brewery visits. Over the years I’ve pretty much hit new locations as they open. 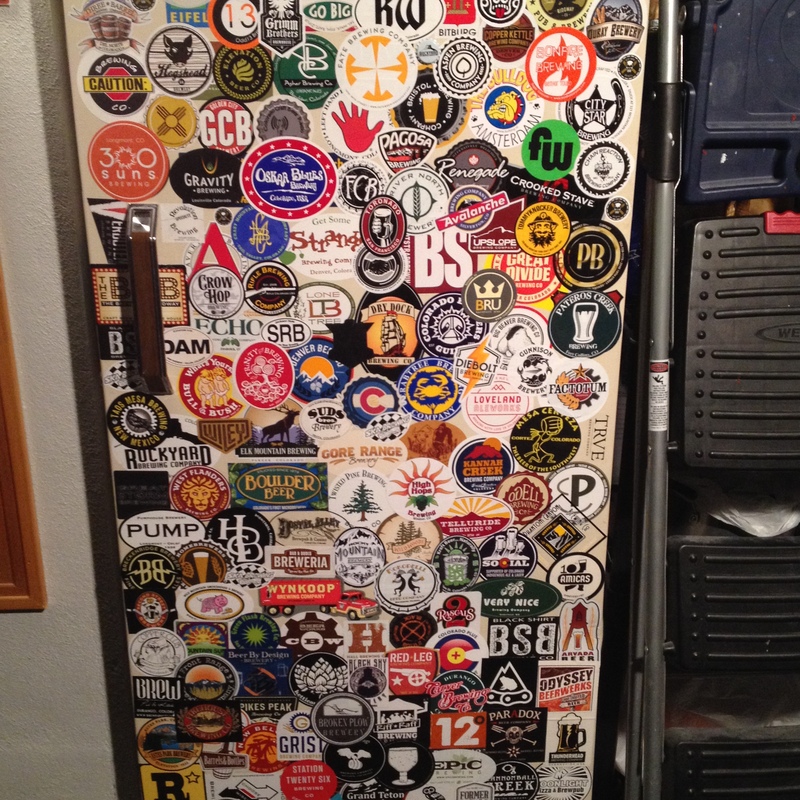 The number of breweries was fairly static up until the last 4-5 years so it was fairly easy to stay up to date. CBG: Besides beer, what else do you seek at all the Colorado breweries? Other than the beer (of course) I think the thing we most enjoy experiencing are all the different visions and dreams of the brewery owners. There are some very clever/artistic folks out there and the taprooms reflect this. Ruth always remarks that this is the perfect example of Americana. Families trying to create something out of nothing. Making it happen. 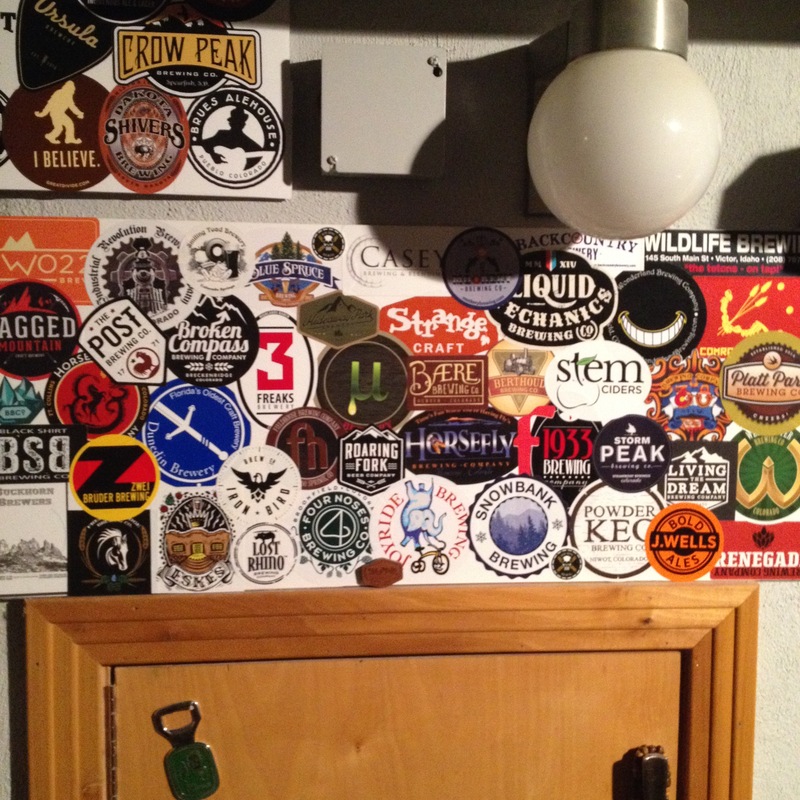 Also, along the way I’ve picked up a nasty brewery sticker habit. Our most memorable beer tours have always been our swings through the Four Corners region. 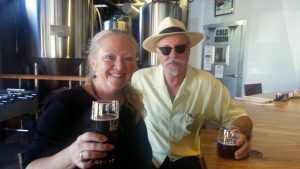 Another hobby of ours is visiting Anasazi ruins so we try to incorporate both while on beer tour. We also have friends that live in that part of the state so we always use these opportunities to catch up, camp out and drink beer. Beer festivals are also another great excuse to get out there and see the state. 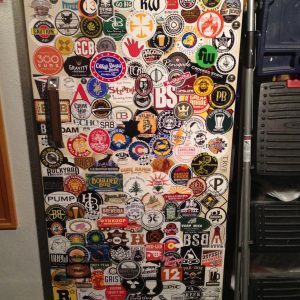 CBG: What are your top breweries in the state of Colorado in terms of your beer taste? Our tastes tend to run to the Belgium styles, so our favorite breweries reflect that. Some of our favorites are FunkWerks, 12 Degree, Jessup Farm Barrel House, River North, Beryl’s, and Trinity. And Elevation!!! CBG: What are you favorite tap rooms in terms of aesthetics and atmosphere? Some favorite tap rooms are, in no particular order, High Hops in Windsor. Drinking beer in a green house in the dead of Winter, surrounded by large flowering plants, is always welcome. Then in warmer weather, they have an awesome outside area with lawn and stage. Great views of the mountains and their own hop farm. It really doesn’t get any better. Jessup Farm Barrel House, drinking in a 130 year old barn. Nuff said. Strange Craft, after walking directly through the brew house you arrive at a huge back yard/ beer garden. Fire pit, horse shoes, corn hole, live music. 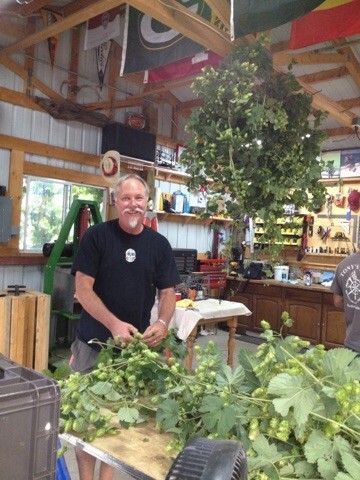 Palisade Brewing, sitting on their porch in late Summer, surrounded by the Book Cliffs on side and orchard’s on the other. Wow. A new brewery we were impressed with is New Terrain, the view from their porch is awesome. 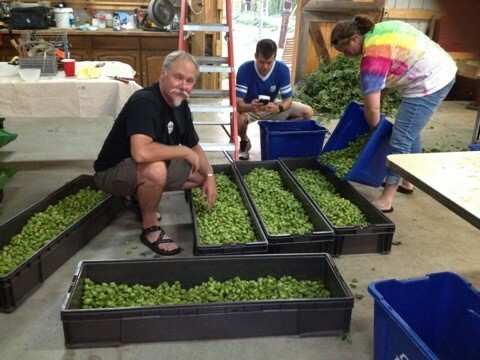 CBG: What is your go-to breweries on a day-to-day basis? Our local favorite “go to” breweries are Diebolt and De Steeg (both in north Denver), River North, Beryl’s, and Spangalang. We normally try to stay in the Northwest part of town when on beer tour and feel very lucky to have these as our locals. To the awesome beer. Sure, we have kissed a few frogs along the way, especially when hitting them on opening day (that’s a whole different story) , but it has all been totally worth the effort. You will meet the nicest people (and their dogs) at your local and it only gets better when you travel.